Facebook/McCain Enterprises, LLCTrent McCain with his daughter’s doll. 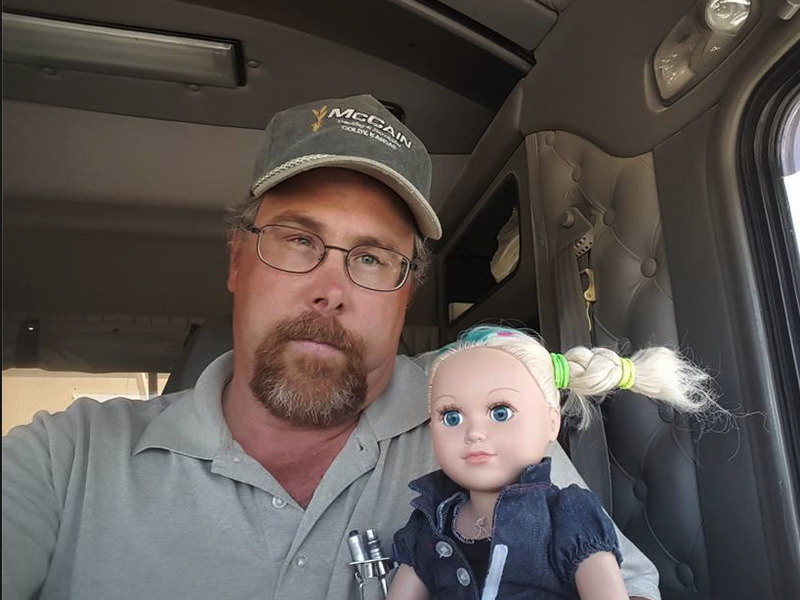 When McCain’s 9-year-old daughter Joselyn asked her father to babysit her doll, Abbie, during a day of work, McCain didn’t just say yes: He went all out. PostbyMcCain Enterprises, LLC / McCain Trucking & Harvesting.